When most people think of fast, affordable European internet backed by a strong infrastructure, their mind usually goes to countries like Holland, Sweden, or even Scandinavian countries like Denmark – and rightfully so. However, most tend to forget, or are unaware of, the stable growing digital infrastructure found in Lithuania. With a population of 2.91 million, you wouldn’t expect Lithuania, a former Soviet bloc located in the deep southernmost region of the Baltic states, to have one of the highest fiber-optic network penetration rates (FTTH) in the world, but they do. In fact, for seven consecutive years Lithuania has held the crown for having the highest fiber-optic penetration rate in Europe. Globally, Lithuania has the eighth highest penetration rate, standing at 36.8% as of September 2016, which is seven places behind number one ranked United Arab Emirates, who has an astounding penetration rate of 93.7%. While having largely a state funded digital infrastructure, Lithuania’s wide fiber-optic network deployment has been largely fueled by active competition domestically in addition to super low prices. Investments, both locally and foreign, have allowed over two thirds of the Lithuanian population to have high-speed internet access in their homes. As a result, Lithuania has become a highly competitive player in the world of business. It means technology companies and outside corporations will see Ukraine as the next Holland or Denmark, with which additional investments will inevitably follow. This will do nothing but help the current state of Ukraine web hosting, and the users who choose to opt for a Ukraine hosting provider will also benefit. Tech companies like Google, Nasdaq, Uber, and Wix are beginning to realize the digital effectiveness of Lithuania. The result is a 70% increase in foreign investment between 2009 and 2013, according to a report conducted by ZDNet. Today, Google has a growing sales office in the Lithuania capital of Vilnius, while Nasdaq has its own “center of excellence” in the same city. The fact that Lithuania has a strong STEM education program, which harbors a large talent pool and intelligent culture, is another likely reason the country has attracted foreign investment from tech companies of all sizes. – A June 2013 study conducted by Ookla Net Metrics found that Lithuania has the second fastest internet download speed and single fastest internet upload speed in the world. – As of 2013, two ISP’s delivered up to 300 Mbps download speeds as part of their standard home user package. – In 2014 the fastest internet speed, offered by SkyNet, provided maximum connection speeds of up to 1 Gbps. – In 2015 Lithuania ranked 4th in the EU and 9th in the world for their average connection rate of 45.11 Mbps. – Thanks to freedom of speech and press amendments within the Lithuanian constitution, the country is free of government restrictions or censorship. Even with all this said, as a digital powerhouse, Lithuania will continue to grow and expand its digital capabilities. So what do this mean for web hosting? Cheap hosting prices for both hosting companies and clients, as well as fast connections with limited latency. When reading the following list of the best Lithuanian VPS providers, keep in mind that the country’s hosting industry still has much room to grow. MonoVM.com, founded in 2015 and based in Vilnius, Lithuania, focuses on providing reliable VPS and dedicated server solutions. They offer both Linux and Windows VPS servers, as well as separate RDP plans. Although MonoVM resells their services, they guarantee that each VPS receives its own dedicated resources. They also accept Bitcoin. Each Lithuania VPS from MonoVM includes full root access, one free dedicated IP address, near instant setup, and relies on VMware ESXi virtualization technology. As for control panels, cPanel costs $15, DirectAdmin costs $5, and Interworx costs $7 per month. Each extra IP address costs $2 while SSL certificates start at $13.95 per year. Serveria.com was established in 2011 and appears to be headquartered in Riga, Latvia. They maintain their own servers within their own data center where they’re peered to TeliaSonera and Globalcom. The company accepts Bitcoin and uses the Cloud-Linux platform for all VPS servers. Additional IP addresses cost $2 per month, a cPanel license costs $15, a VirtualAdmin license is included for free, and a SSL certificate costs $15 per year. Serveria does not offer much in terms of customization or hosting capabilities, and in the end, their dedicated servers will give you more for your money. Qhoster is a worldwide hosting provider established in 2004. They service customers across five continents and 13 different hosting locations, including Lithuania. The technical equipment used by Qhoster includes HP and Supermicro servers alongside the latest Intel CPU’s and RAID-10 protected hardware. Their Linux VPS servers can be equipped with OpenVZ or Xen virtualization. Qhoster’s VPS packages come with full root access, a configurable RDNS, and DDoS protection up to 480 Gbps. Available control panels include: cPanel ($14.95), Parallels Plesk ($14.95), and DirectAdmin ($10). Additional IP addresses cost $3 each, an extra CPU unit costs $10, additional GB of RAM cost $10, 15 GB of extra disk space costs just $7.50, and each additional TB of bandwidth comes with a $10 price tag. Qhoster offers well-diversified hosting packages capable of handling small to medium size business ventures – recommended. Time4VPS.eu, a subsidiary of UAB Interneto Vizija, was formed in 2003 and by 2005, according to the company, Time4VPS.eu became the largest web hosting provider in Lithuania. Keep in mind that Time4vps.eu are resellers. Though they do maintain their own Tier-3 Lithuanian data center, accept Bitcoin, and utilize KVM full virtualization to prevent overselling their servers. Each VPS runs on an Intel Xeon E5-2640 v4 processor. Adding a IP address comes with a one time fee of 9.99€. Enabling daily to weekly hard drive backups begin at 1€ per month. While this is not the best option for extremely large websites, Time4VPS.eu deserves recognition for using the latest hardware, providing large amounts of SSD disk space, and for offering excellent prices. Like a few other hosting providers on this list, 1Gbits.com specializes in offering VPS and dedicated server solutions across multiple international locations, including: USA, UK, Canada, Germany, France, Holland, Romania, and Lithuania. The company was formed in 2012 and appears to be based in the United States. Each Linux VPS from 1Gbits.com includes full SSH access and fully dedicated resources through VMware ESXi virtualization. Both Plesk and DirectAdmin control panels cost $5 monthly, while cPanel costs $15 and Interworx runs in at $7. Extra dedicated IP’s cost $3 and to upgrade your server to ‘fully managed’ status comes with a $25 price tag. The company’s Lithuania data center is located in Siauliai. They also accept Bitcoin. HostRipples does not provide much background information. However, it does appear the company is well-known for their $1 shared hosting plans. Also, HostRipples maintains servers in 15 different countries, including in Lithuania. The company has over 13,000 Facebook likes and has maintained a near-perfect 5-star rating through Serchen through 155 customer reviews. Each VPS includes full root access and one free dedicated IP address. But unfortunately, at this time all of HostRipples’ Lithuania VPS packages are sold out. Regardless, if you’re looking for the cheapest possible Lithuanian VPS provider on the market, keep tabs on HostRipples. VPSBit.com is the culmination of a group of international hosting providers based Hong Kong, India, and Lithuania. Formed in 2015, VPSBit maintains its own servers in the USA, Hong Kong, and Lithuania. They primarily use Intel Xeon E3 and E5 CPU’s, as well as manage their own multi-gigabit and multi-homed network for maximum flexibility and control. Their Lithuanian VPS servers run on Citrix Xen virtualization technology. VPSBit’s Lithuanian VPS plans include one free dedicated IP, full root access, remote reboots, and they even provide Windows Server 2012 R2 OS for free. VPSBit only accepts PayPal and Bitcoin as payment. Overall, VPSBit is a reliable Lithuanian VPS provider with over 20 years of experience, good price points, and the ability to choose between SSD or HDD drive space. CherryServers.com, formerly known as Baltic Servers, got its initial start in 2001. The CherryServers brand launched in 2016, and has since garnered a significant portion of the Lithuanian hosting market. The company built their own green data center back in 2015 and are headquartered in Lithuania. Each CherryServer VPS relies on KVM and can be fully customized. Adding an extra IP address costs $2 while adding more storage space is also relatively low-cost. While the Linux OS variations are free, Windows Server 2012 R2 Standard costs $19 and Windows Server 2016 Standard costs $35. Overall, CherryServers is a highly transparent Lithuanian hosting company with the ability to handle websites of all sizes and the competitive prices to match. 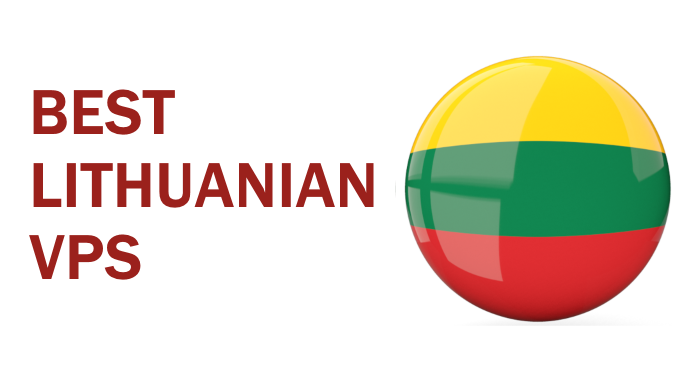 We highly recommend checking out CherryServers for your Lithuanian VPS needs.